Easy Digital Downloads sends 4 emails per purchase by default, the Sale Receipts and New User Registration. I wanted to disable the New User Registration emails as they don’t provide any value benefit to me or the customer. After looking at messy ways to disable the email the WordPress Way. I finally found a good solution to disabling the New User Emails in Easy Digital Downloads by using this snippet. Use the snippet in your child theme functions.php or a custom plugin (I prefer custom plugins). Hope it helps you! I’ll continue to post small tips and tricks for creating a better experience across WordPress and Easy Digital Downloas. If you spin up a new WordPress site using the Bitnami installer on Google Compute Engine, then you will see the bitnami banner in the bottom right. The banner links to useful information about your Bitnami install which could be a security issue. I have seen people try to hide it using CSS, DO NOT use CSS to hide the banner. The code for the banner will still visible. You should always restart the Bitnami Apache server to make sure all changes take affect. If you are bit more hands on like me, then you’ll most likely benefit from being able to see hidden files and folders, on your Mac. There isn’t a small setting for this so the easiest way is to run a simple command in terminal. Don’t worry, it’s not hard or complicated. 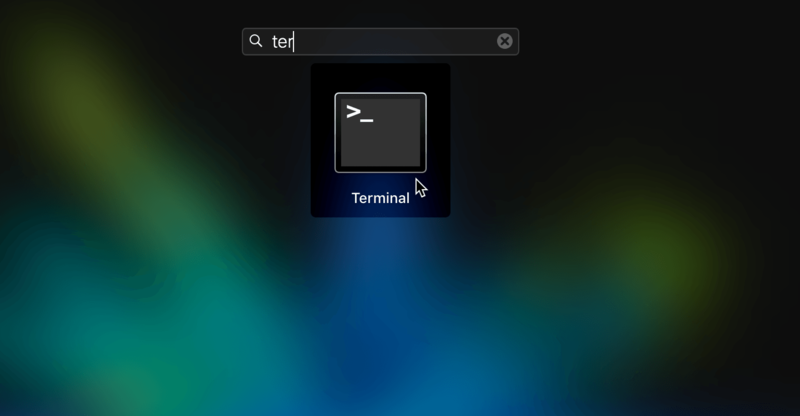 First up let’s find and open the Terminal app. You can find it few ways, either go to Mission Control or spotlight search. If for some reason you don’t want to and it’s annoying you, then you can turn it off by putting the following filter snippet into your theme’s functions.php or into a Plugin. That’s all! Make sure it’s in your active theme’s function.php or a Plugin. .DS_Store files are really annoying on Mac. If you’ve uploaded a heap of them onto a webserver like me, then worry not! There’s an easy way to remove them all from your VPS server. This should work on most linux machines, Mac OS. I was exicted to use the site importing feature in Local by Flywheel (localhost development software for WordPress. It should be as creating a zip of the site and make sure the .sql file in the root directory, of that zip. Just drag and drop the zip into Local’s window and watch it work! Local installed my WordPress site and told me it was ready to go. Oh no! Error 500 when accessing the site using Local by Flywheel! Don’t worry, it’s and easy fix. Turns out local can corrupt your .htaccess file. All you need to do is replace the .htaccess with a default WordPress one. Here is the defaut htaccess for WordPress. Now try loading up your imported WordPress site again ? Centering veritally with CSS can be a challenge at times, but not with easy snippet. Make sure the parent class has a relative postion. You can then create the child content to be centered within the parent. This CSS trick centers vertically and horizontally while being 100% responsive. This snippet allows you to get the WordPress feature image and use it as a background. Style it using the css class feature-bg. Remember to put the code around your content in your WordPress Template files. The code will dynamically take the feature image thumbnail if the current post has one. My Atom installation wasn’t allowing me to beautify PHP in the editor. So if you are having the same issue then don’t worry! It’s simple to install PHP-CS-Fixer on Mac High Sierra. First we will need to run a couple of commands to download and install PHP-CS-Fixer. You can find the lastest info in the Github repo, otherwise just follow along here. Now let’s use the move command to move PHP-CS-Fixer into the right location. That’s all! Now we will run PHP-CS-Fixer in the terminal to verify that it’s installed system wide. Let’s head into Atom and beautify some PHP! Success! apart from some small gaps. I’ll have to optimise the settings to get it perfect. Spotlight on MacOS can be heavy on the CPU usage. If you want to switch it off you then you will have to run a command in the terminal. Spotlight does provide some very nice functioniality, I don’t use spotlight itself. I use Alfred 3 which uses the same index data. If you disable Spotlight search then Alfred 3 will also stop working.